Working/editing on a new Apple/LG 27" 5k Display today and missing being underwater like this manta scene from the Socorro Islands off Mexico's Baja Peninsula. 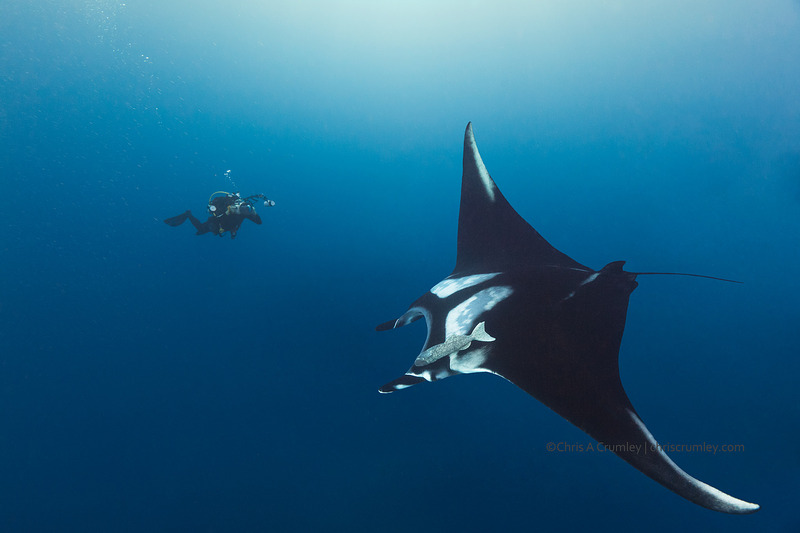 I was happy for my buddy Marty Snyderman to be silhouetted against blue water rather than between the manta and me (as he sometimes is). -- with Marty Snyderman.